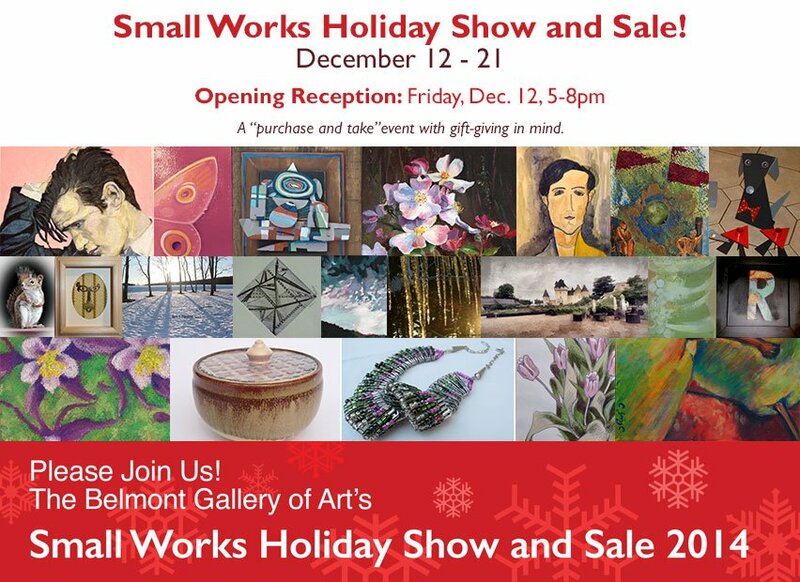 The BGA’s annual Small Works Holiday Show and Sale offers original art in a variety of media selected with gift purchasing in mind. Browsers will enjoy the display and shoppers will find interesting gifts for holiday giving. All work presented in this show is available for purchase and unlike gallery policy the remainder of the year, items may be taken at the time of purchase. This Holiday Invitational offers original works by local artists presented in a casual purchase and take format designed for holiday gift shopping. 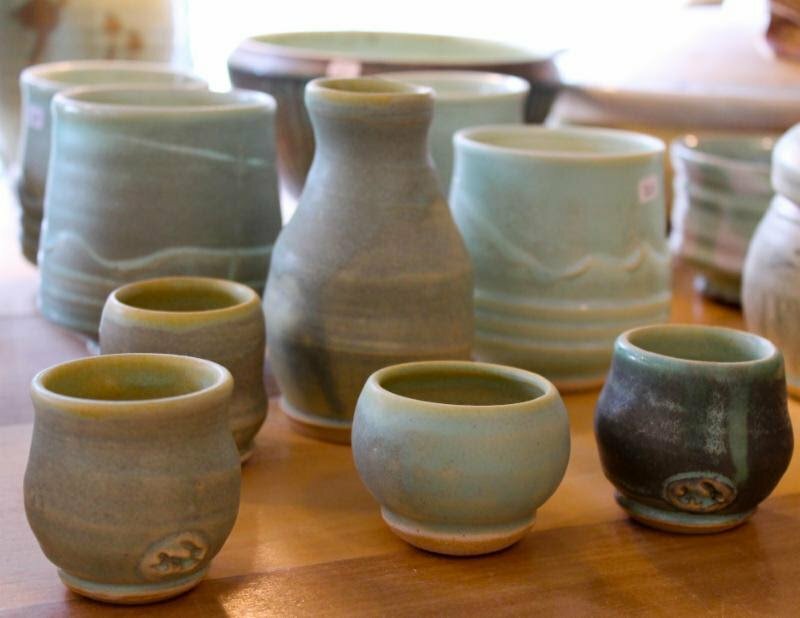 First introduced in 2008, this event returns each year by popular demand and offers a wide variety of media including painting, pastels, prints, cards, ceramics, photography, jewelry, fiber, textiles, sculpture and more. Bring your friends and enjoy the relaxed atmosphere. Open House: Sunday, December 5, 2-4 p.m. 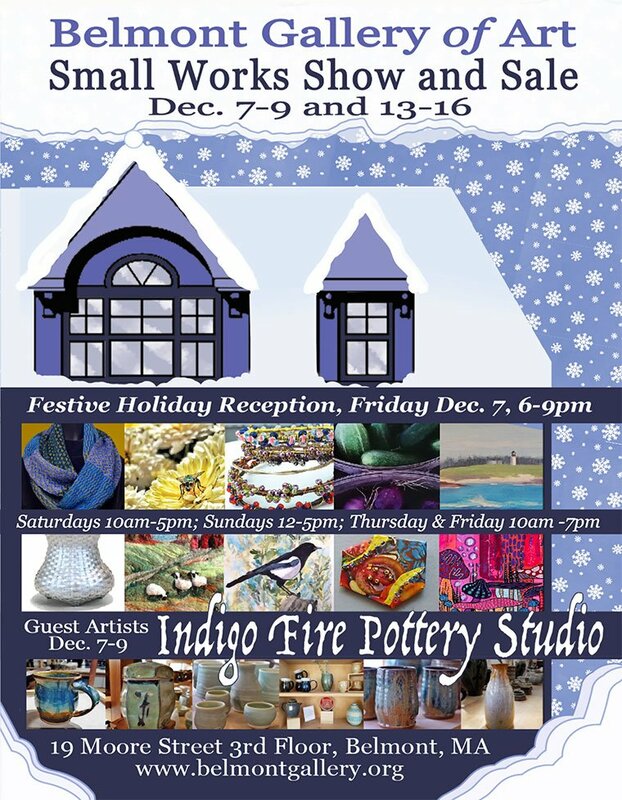 This Holiday Invitational offers original works by local artists presented in a casual purchase and take format designed for holiday gift shopping. 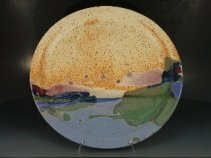 First introduced in 2008, this event returns each year by popular demand and offers a wide variety of media including painting, sculpture, prints, ceramics, photography, fiber, textiles and more. Bring your friends and enjoy the relaxed atmosphere. Thursdays & Fridays, December 2, 3, 9 & 10: 10 a.m.-4 p.m. and 6:30-8:30 p.m.
Sundays, December 5 & 12: 1-4 p.m.
Works on display include mixed media by Norma Dumont, soft sculpture dolls and handwoven scarves by Kathy Jo Solomon, ceramics by Danette English and Bet Lee. 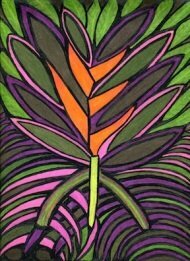 Brought together for this specialty show and sale, the varied work of this group of artists ranges from clay, fiber and sculpture, to painting, batik, mixed media, photography and prints. With a maximum size of 20 inches, these smaller format works will easily fit into your art collection–or be the basis to start one–as well as fit within your holiday gift budget. 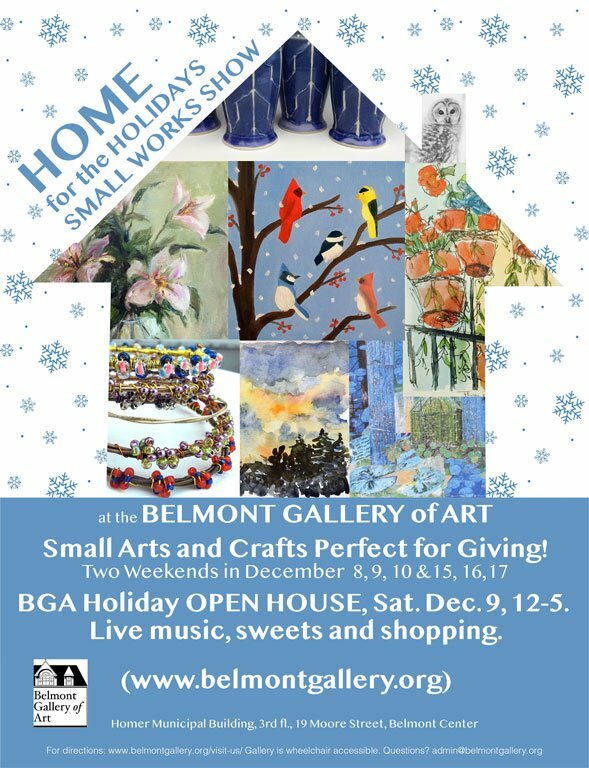 Be sure to add a visit to the BGA to your list of places to visit while preparing for the holidays. The Gallery is handicapped accessible and there is no admission charge. The BGA will be closed from December 13 through January 8, 2009.